IAEI members have opportunity and responsibility, through theNECprocess, to support what we believe to be practical safeguarding of persons and property arising from the use of electricity. In this article, I would like to review the history of theNECrequirements for the use of GFCI protective devices and to consider the possibilities for future evolution. For the purpose of this article, I would like to focus attention on the general requirements for 15- and 20-ampere, 125-volt receptacles, rather than the “special occupancy and equipment” requirements located in chapters 5 and 6. The general requirements for protection are currently located in NEC 210.8. I will however mention the first NEC requirement for GFCI protection was located in chapter 6 and applied to underwater lighting installations in swimming pools [NEC-1968, 680-4(g)]. Circuit breaker or outlet-type devices could provide the required GFCI protection. NEC-1971 added GFCI protection of receptacles on construction sites. Those requirements were eventually moved to the article on temporary installations, which is currently in chapter 5, Special Occupancy. This edition added a requirement for GFCI protection of 15- and 20-ampere, 125–volt receptacles installed outdoors at dwelling-type occupancies. The dwelling-unit outdoor receptacle requirement is currently located in NEC 210.8(A)(3). Photo 2. Outlet-type GFCI devices are available with and without receptacles. This installation satisfies the requirement for GFCI protection in bathrooms and the requirement to protect hydromassage bathtubs. NEC-1975 added GFCI protection requirements for dwelling-unit bathrooms. That requirement is currently located in NEC 210.8(A)(1). NEC-1978 limited the GFCI protection requirement for dwelling unit, outdoor receptacles to those located at direct grade level access to the dwelling. Photo 3. Receptacles installed outdoors at dwelling units are required to be GFCI- protected. -1978 also added the 15- and 20-ampere, 125-volt receptacles installed in dwelling unit garages to the list of locations that required GFCI protection. The garage receptacle requirement is currently located in 210.8(A)(2). 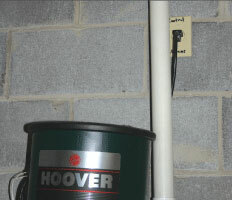 NEC-1981 added two exceptions to the GFCI protection for garage receptacles. The first [currently Exception No. 1 to (2)] excluded GFCI protection for receptacles that are not readily accessible. 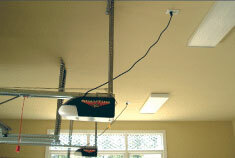 Readily accessible is defined in Article 100 as, “capable of being reached quickly for operation, renewal, or inspections without requiring those to whom ready access is requisite to climb over or remove obstacles or to resort to portable ladders, and so forth.” This exception excludes GFCI protection for typical receptacles installed for garage door openers. Photo 4. From 1978 until 1996, receptacles installed outdoors at elevations above grade level access (6 ft. 6 in.) were not required to be GFCI-protected. It should be noted that a variety of applications in addition to the garage door opener receptacles might qualify as “not readily accessible.” The second [currently Exception No. 2 to (2)] excluded GFCI protection for receptacles installed for appliances occupying dedicated space. This exception was directed at refrigerators and freezers installed in garages, but could be applied to any receptacle supplying an appliance that is not considered portable. Some examples include: washing machines, central vacuums, sump pumps, sewage pumps, and others. NEC-1984 moved the GFCI requirement for construction sites to the article for temporary wiring and 210-8(B) was added to require GFCI protection for hotel and motel bathroom receptacles. Photo 5. Garage receptacles are required to be GFCI-protected. -1987 added a requirement to provide GFCI protection for at least one 15- or 20-ampere, 125-volt receptacle in a dwelling unit basement [currently 210.8(A)(5)]. This edition also added the GFCI protection requirement for 15- and 20-ampere, 125-volt receptacles within 6 ft. of the kitchen sink [currently 210.8(A)(6)]. NEC-1987 additionally expanded GFCI protection requirements to 15- and 20- ampere, 125-volt receptacles installed in dwelling unit boathouses [currently 210.8(A)(8)]. This edition included new text to define grade level access as, “those installed not more than 6 ft. 6 in. of grade” when applying the GFCI requirements for outdoor receptacles. Photo 6. 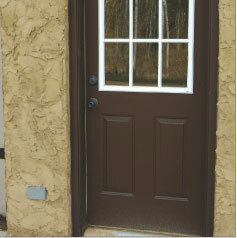 Receptacles installed for garage door openers are typically excluded from the GFCI requirements. added an additional requirement for GFCI protection of 15- and 20-ampere, 125-volt receptacles installed in crawl spaces [currently 210.8(A)(4)] to the section covering basements. The basement requirement was also revised to limit the GFCI protection for the 15- and 20-ampere, 125-volt receptacles installed in unfinished areas. Three exceptions were added for basement receptacles as follows: (1) A single receptacle supplied by a dedicated branch circuit and located and identified for specific use by a cord-and-plug-connected appliance, such as a refrigerator or freezer. (2) The laundry circuit. 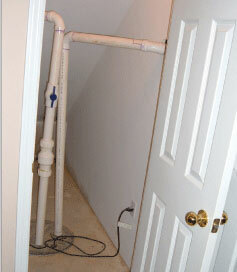 (3) A single receptacle supplying a permanently installed sump pump. Three exceptions that are worded differently from the exceptions of the 1990 edition exist today in 210.8(A)(5). The current exceptions include the original applications and additional applications. Photo 7. 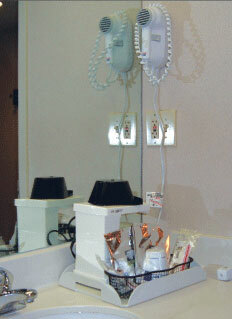 Bathroom receptacles installed in hotels and motels after 1984 are required to be GFCI-protected. 3 added an additional requirement for GFCI protection of 15- and 20-ampere, 125-volt countertop receptacles installed within 6 ft. of a wet bar sink in dwelling units [currently 210.8(A)(7)]. A FPN was included to clarify that receptacles installed for refrigerators and freezers were excluded from the GFCI requirement. This edition added text to clarify the difference between finished and unfinished basements for application of the unfinished basement requirements for GFCI protection.NEC-1993 also provided additional GFCI requirements in non-dwellings. The requirement in 210.8(B) for hotel and motel bathrooms became 210.8(B)(1) and was revised to include bathrooms in all non-dwelling buildings. A new requirement was added for GFCI protection of 15- and 20-ampere, 125-volt receptacles installed on non-dwelling rooftops [currently 210.8(B)(3)]. In addition to the reformatting of 210.8,NEC-1996 included several additional changes for GFCI protection. Grade level portions of unfinished accessory buildings used for storag e or work areas were added to the garage section of 210.8. 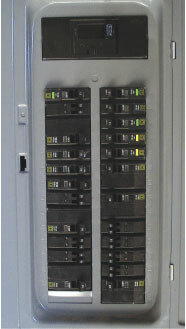 This section did not require accessory buildings to be energized, but did require GFCI protection of 15- and 20-ampere, 125-volt receptacles that were installed. Photo 8. 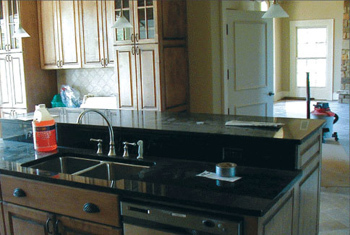 Since 1987, the countertop receptacles near the kitchen sink have been required to be GFCI-protected. The exceptions that were already part of 210.8(A)(2) for garages also applied to the accessory buildings. This edition deleted the limitation for GCFI protection for outdoor receptacles installed at grade level. Although 210.52 did not require outdoor receptacles for elevated areas, if they were installed, GFCI protection would be required. An exception was included that still remains today to exclude receptacles that are not readily accessible, supplied by a dedicated branch circuit for electric snow-melting or de-icing equipment. This equipment is required to be provided with GFPE protection by Article 426. This edition deleted the specific exception for receptacles that supply sump pumps in basements. The permission to supply that equipment from a receptacle without GFCI protection was considered to be covered by the “appliance located in dedicated space” exception. The 1996 edition also changed the GFCI protection requirements for kitchens. 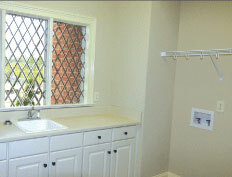 The requirement was expanded to require the protection for all receptacles serving countertops rather than limiting the protection to receptacles within 6 ft. of the sink. Photo 9. 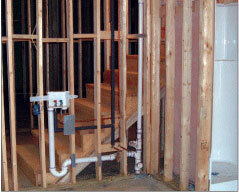 Receptacles typically are installed in crawl spaces to meet the requirements in 210.63. Those receptacles are required to be GFCI-protected. The text related to boathouses was not included as a separate list item during that cycle. 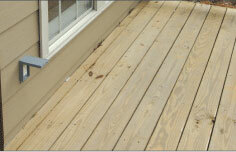 A specific requirement was included in Article 555, Marinas and Boatyards. Some code users also considered boathouses to be covered by the accessory building requirement in list item 2. The revisions in the 1999 edition included a requirement to expand the GFCI protection requirement for accessory building receptacles in belowgrade areas. An exception was also included for non-dwelling rooftop receptacles that were provided for snow-melting and de-icing equipment. 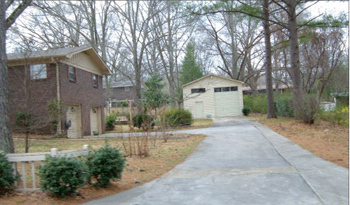 The text was identical to that in the outdoor dwelling exception. Photo 10. Receptacles serving appliances located in dedicated spaces, that in normal use are not easily moved, are not required to be GFCI-protected. NEC-2002 included several changes to the GFCI protection requirements. The first was the addition of an exception in unfinished basements for receptacles that supply only a permanently installed fire- or security-alarm systems. Since a change was made to Article 555 to exclude single-family private boathouses from the scope of that article, item (8) was added to 210.8(A) to specifically address receptacles in boathouses built at dwelling units. In my opinion, the most significant change in 210.8 during the 2002 cycle was the addition of GFCI protection for receptacles installed in kitchens of “Other Than Dwelling Units.” This requirement included all 125-volt, single-phase, 15- and 20-ampere receptacles. Unlike the dwelling unit requirement for kitchens and other spaces, it applies to receptacles that serve countertops and those that serve other spaces in the kitchen. 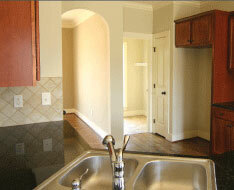 It does not exclude appliances installed in dedicated spaces. It does not exclude receptacles that are not readily accessible, and does not exclude receptacles that supply refrigeration equipment. This requirement applies to all 125-volt, single-phase, 15- and 20-ampere receptacles. Photo 11. A duplex receptacle installed in a basement to supply a freezer and a water softener is not required to be GFCI-protected based on NEC 210.8(A)(5) Exceptions No. 2 to 5. 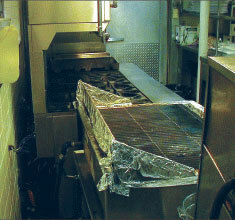 A review of the National Electrical Code Committee Report on Proposals for the 2005 code cycle reveals several proposals submitted to add exceptions to the GFCI protection requirement for kitchens in “other than dwelling units.” The proposals suggest that GFCI protection is not compatible with some equipment, that the requirement for protection is unreasonable, that the protection is not feasible or wanted, and that nuisance trips for refrigeration equipment or sump pumps could cause unreasonable financial loss. Those proposals were all rejected. The panel statements on Proposals 2-40 (Log #1141) and 2-76 (Log #128) provide the position of CMP-2 related to the proposed changes. Photo 12. A single receptacle installed in a basement to supply a central vacuum is not required to be GFCI-protected based on NEC 210.8(A)(5) Exception No. 2 to 5. The evolution of GFCI protection extended to NEC-2005. The protection in 210.8(A)(7) was expanded from receptacles that serve countertop surfaces within 6 ft. of wet bar sinks to all receptacles installed within 6 ft. of the edge of a laundry, utility, and wet bar sink. That definition helps clarify in many restaurants, large hospitals and schools, grocery stores and other occupancies that do not fit into 210.8(A), which rooms or areas are considered to be the kitchen. Rooftop receptacles were relocated to (B)(3). A new item (B)(4) was added to require protection of outdoor receptacles in public spaces. The public space limitation seems to exclude outdoor receptacles in large industrial facilities that limit public access. 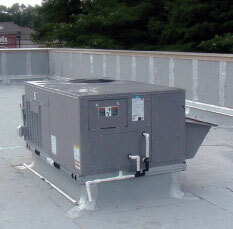 The existing exception for receptacles connected to dedicated circuits for snow-melting and de-icing equipment now applies to the rooftop and outdoor area requirements. A new item (B)(5) was added to require GFCI protection for the receptacle required by 210.63 and installed for servicing of heating, air-conditioning, and refrigeration equipment. NEC-2005 also includes a new 210.8(C), which requires GFCI protection for 125-volt, 15- and 20-ampere outlets (not just receptacles) that supply boat hoists in dwelling unit locations. Photo 14. 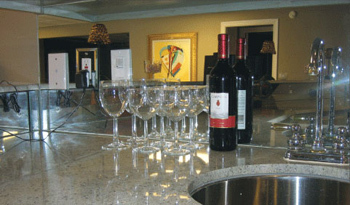 Receptacles installed within 6 ft. of wet bar sinks are required to be GFCI-protected. For a more complete review of the historical information related to the development of GFCI technology, and the NEC requirements, I recommend readingOvercurrents and Undercurrentsby Earl W. Roberts. In addition to the evolution of GFCI requirements located in theNEC, it is also interesting to note that the product standards related to GFCI protective devices and also the product standards related to the appliances that utilize the 125-volt, 15- and 20-ampere receptacles have evolved since the late 1960s and early 1970s. Photo 15. Rooftop receptacles, typically installed to meet the requirements in 210.63 for non-dwelling applications, are required to be GFCI-protected. The early editions of UL 943, Ground-Fault Circuit Interrupters, did not include a lower trip limit. A revision was made to UL 943 with a January 1976 effective date that prohibits the GFCI from tripping at less than 4 mA. Additional revisions, effective January 2003, provide requirements that may reduce the impact that power surges have on the electronic components that make the GFCI devices function. Prior to the 1970s, product standards for cord-and-plug-connected appliances did not include the leakage current test found in those standards today. While I have not reviewed the standards for every type of appliance that might utilize receptacles that are installed in locations that require GFCI protection or locations that are now excluded from GFCI protection by an exception found in NEC 210.8, the typical requirements limit the cord-and-plug-connected appliances to a maximum leakage current of .5 mA. Based on a CMP-2 panel statement from NEC-2005 cycle, it appears that some standards may permit some appliances to have .75 mA of leakage current. At either value, the minimum leakage current required for the appliance to trip a 4 mA GFCI device would be greater than 5 times the leakage current permitted by the product standard. The leakage current necessary to trip a GFCI device is 8 to 12 times the level permitted by the product standard for appliances limited to .5 mA of leakage current. Some of the product standards for equipment impacted by the requirements in NEC 210.8 include: UL 73, Motor-Operated Appliances; UL 197, Commercial Electric Cooking Appliances; UL 427, Refrigerating Units; UL 430, Waste Disposals; UL 471, Commercial Refrigerators and Freezers; UL 563, Ice Machines; UL 621, Ice Cream Makers; UL 749, Household Dishwashers; UL 751, Vending Machines; UL 778, Motor-Operated Water Pumps; UL 923, Microwave Cooking Appliances; UL 1086, Household Trash Compactors; and UL 2157 Electric Clothes Washing Machines and Extractors. Photo 16. 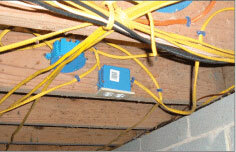 Where receptacles are installed at grade level in unfinished accessory buildings, they are required to be GFCI-protected. As AHJs we are not only responsible for enforcement of the requirements included in the adopted edition of the NEC, but we are also required, in many cases, to justify those requirements when the responsible governing body recommends adoption of a new edition of the NEC. We are also required to justify those adopted requirements when taxpayers question the elected and appointed governing officials about requirements they do not understand. Photo 17. Since 1996, all kitchen countertop receptacles, regardless of their proximity to the sink, are required to have GFCI protection. In order to fulfill those responsibilities, we are often forced to review past Technical Committee Reports (TCRs), Technical Committee Documentations (TCDs), Preprints, Reports on Proposals (ROPs), Reports on Comments (ROCs), and even product standards that may have contributed to the requirements included in the NEC. It is also extremely helpful to be able to attend and participate in IAEI section, chapter, and division meetings where a variety of NEC committee members often participate in the training part of the meetings. It is also helpful to be able to attend NFPA meetings where the actions, proposals and comments are reported and discussed and where the NFPA membership votes to adopt with or without amendments a Technical Committee Report or to return a portion or complete Technical Committee Report. Photo 18. 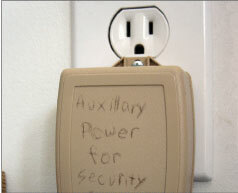 Receptacles that supply fire or burglar alarms are not required to be GFCI-protected. In fact, NEC 760.21 prohibits the power source of non-power-limited fire-alarm circuit from connection to a GFCI-protected supply. This active participation in electrical inspection activities will provide the knowledge and understanding required to successfully participate in the process of changing the NEC when we identify requirements that are difficult to justify. It is also useful in explaining those requirements that we might personally disagree with. It is important to realize that every change to the NEC does not have the unanimous support of all panel members. However, the changes do have the support of at least two-thirds of the Technical Committee, at least three-fourths of the Technical Correlating Committee and have been processed through the NFPA membership, appeals process and issued by the Standards Council. 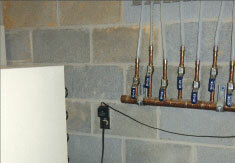 As the GFCI requirements for other than dwelling units evolved through NEC-2002 and NEC-2005 and then the requirement for GFCI protection near a laundry sink in NEC-2005, AHJs were in a position of trying to justify the difference in the hazard associated with a washing machine sitting in a laundry room and a washing machine sitting in a basement or a garage. They were attempting to justify the difference in the hazard associated with a refrigerator or freezer sitting in a dwelling unit and one that was sitting in the kitchen of a non-dwelling unit. Few AHJs questioned the 4 to 6 mA trip range of the GFCI devices as being the appropriate trip value to provide protection of persons making contact with the appliance. A reasonable consistency question raised by the evolution of NEC requirements for GFCI protection, involved proposals either deleting many of the current exceptions in 210.8(A)(2) and (A)(5) or including additional exceptions in 210.8(A)(7) and (B)(2). Photo 19. 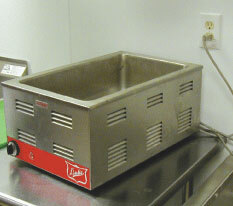 Currently receptacles installed within 6 ft. of laundry sinks are required to have GFCI protection. The receptacle that supplies the washing machine is not excluded. Based on all of the information above, proposals were submitted to delete Exceptions 1 and 2 to 210.8(A)(2) and also to delete Exceptions 1 and 2 to 210.8(A)(5). Proposals were also submitted to add exceptions in 210.8(A)(7) and to add exceptions to 210.8(B)(2). As the submitter of the proposals to delete the current exceptions, the one question I did not consider prior to my proposals was the impact of the collective leakage current from multiple appliances in a building. After discussions with other persons that are actively involved in the code-making process, it seems that, as an industry, that question deserves consideration. It appears that CMP-2 has accepted the proposals to delete the exceptions at this time. Obviously the 2008 cycle is still in process and many things could change prior to the publication of NEC-2008. Photo 20. 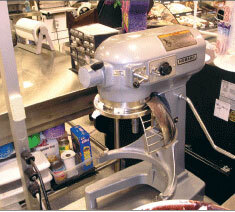 The 125-volt, 20-ampere receptacle that supplies the mixer in this grocery store bakery is required to be GFCI-protected. As authorities having jurisdiction, we have both the opportunity and responsibility to participate in the evolution of the installation requirements (NEC) and product standards that are related to electrical safety. We have the ability to participate both individually and collectively. The development process to both the NEC and product standards is open to anyone that will take the time to make a contribution. If we choose not to participate, then we will have an opportunity to enforce requirements developed by others. To participate collectively, IAEI divisions, chapters, and sections must begin to review the public proposals that were submitted forNEC-2008 and review the panel actions that will be taken on those proposals. Consensus comments and substantiation will need to be developed and processed through the various sections of IAEI. Photo 21. The 125-volt, 20-ampere receptacle that supplies the food warmer in this organic lunch counter at the shopping center is required to be GFCI-protected. Options are provided in theNEC-2008 cycle to determine what we want the electrical system to protect. We could support protection of owner’s rights to the convenience and reliability of their utilization equipment, or we could support protection of persons using utilization equipment. We have a responsibility, as AHJs, to make a conscious decision to support what we believe to be practical safeguarding of persons and property arising from the use of electricity. The purpose of this article is to encourage each of you to participate in this important decision. Photo 22. The 125-volt, 20-ampere receptacles that supply the gas cooking equipment in the kitchen at the country club is required to be GFCI-protected. Next articleThe 15-minute PV System Inspection. Can You? Should You?